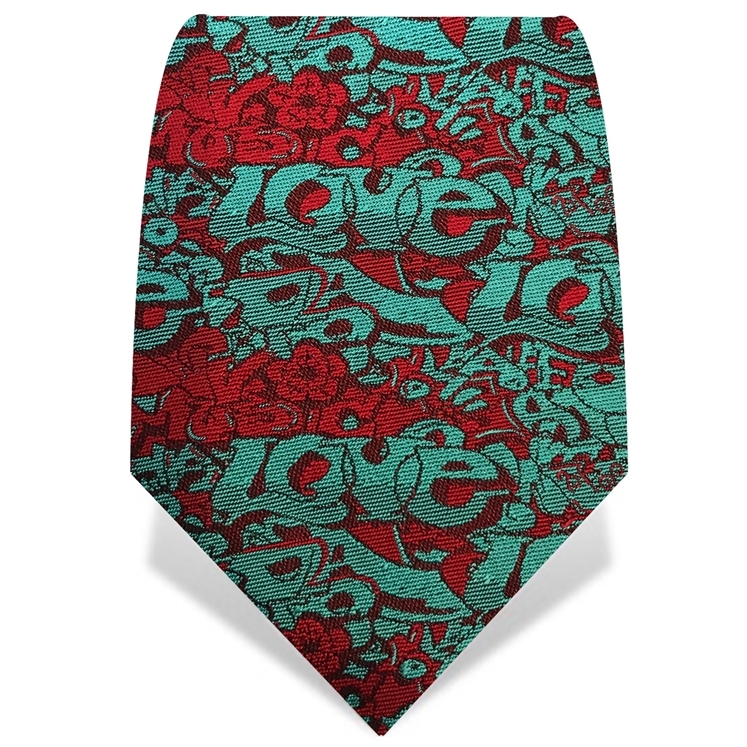 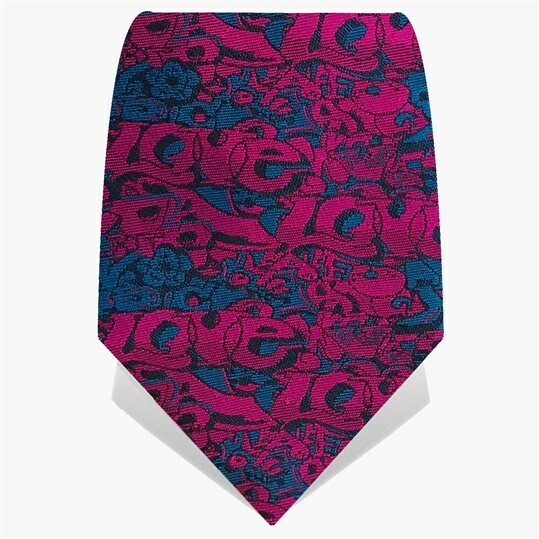 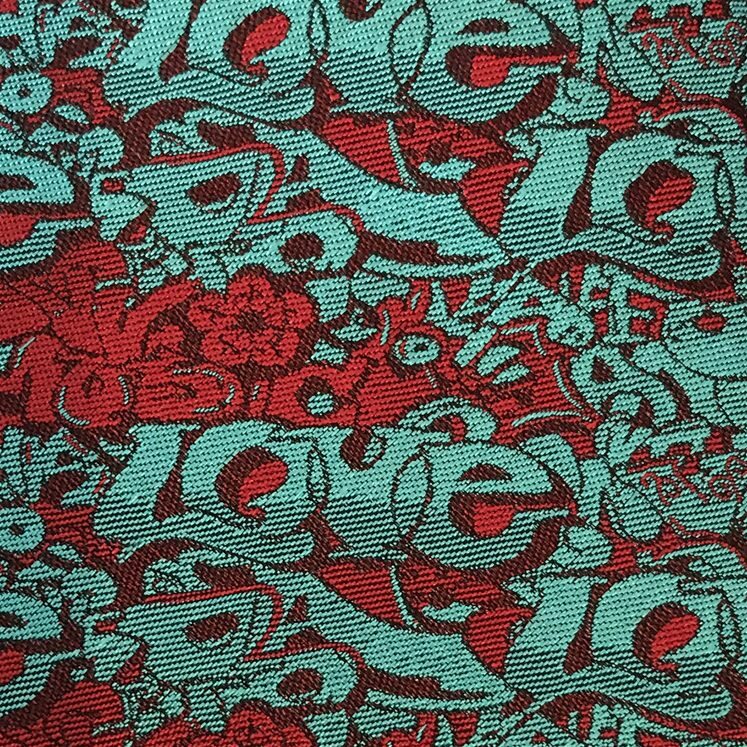 100% silk tie in a vibrant turquoise & red. 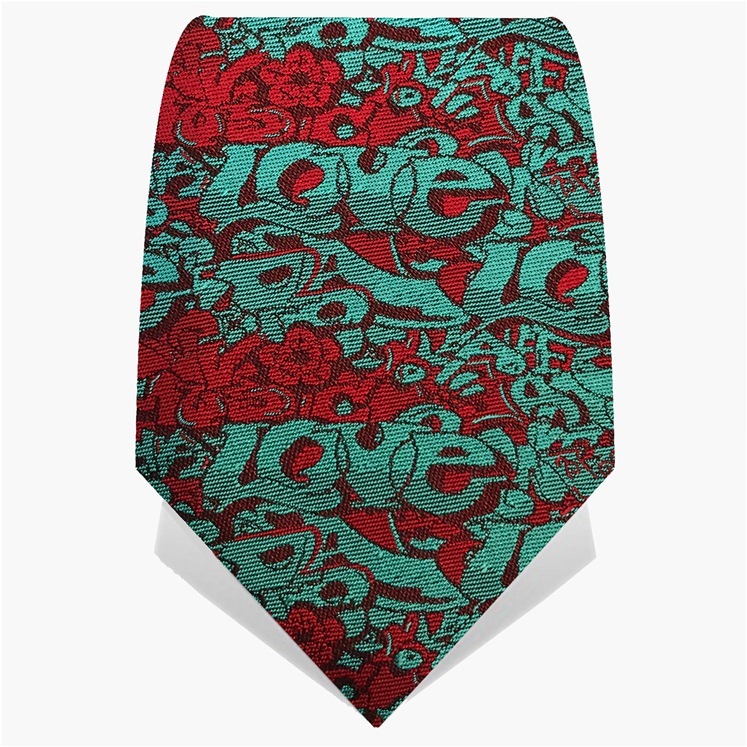 Graffiti Tie. adorned with an all over woven pattern of 'love'. 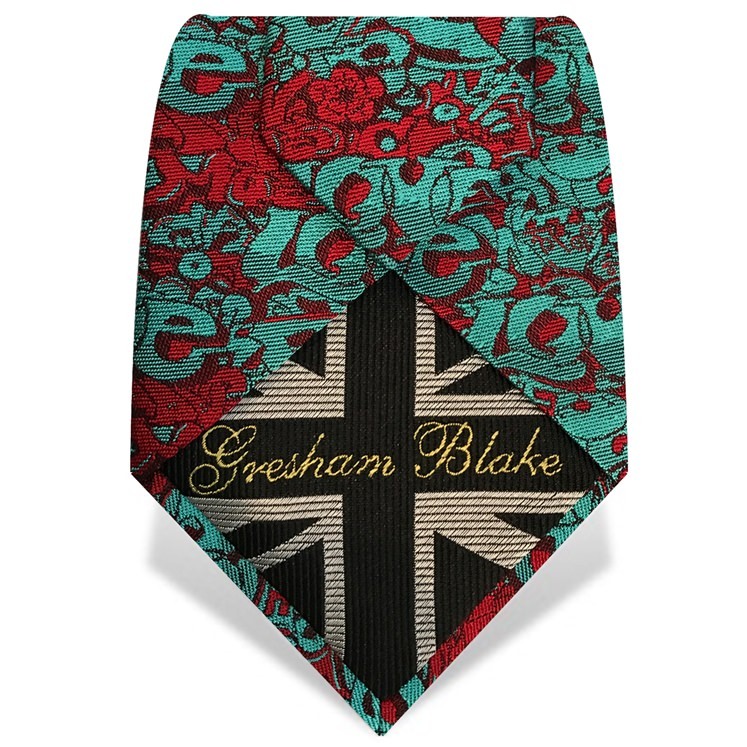 Tie features the Gresham Blake 'Made in England' embroidered tie tip.